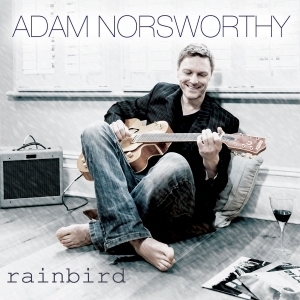 Singer, guitarist and songwriter Adam Norsworthy is well known to lovers of ‘live’ music, especially blues, as the leader of the successful working band The Mustangs, who have been a popular act on the bills of all the UK’s blues festivals over the last decade or so. In recent times he has expanded his horizons to develop a parallel career as a singer-songwriter, his style ranging beyond blues into an indefinable amalgam of pop, rock and acoustic forms. This album sees him working for the first time with a top producer, in this case Wayne Proctor, the multi-award winning drummer and producer of the hugely successful blues/rock band King King, and also drummer with the Nimmo Brothers. Wayne played drums on the sessions, with other members of King King also making contributions, and the resulting album takes Adam into a new creative and commercial dimension as well as a whole new phase in his career, admirably showcasing his distinctive voice and songwriting. This one will get focused PR and promotional support in contemporary media.